Teens can become addicted to almost anything. Some teens develop harmful addictions to actions, such as gambling or playing videogames. Other teens develop addictions to alcohol. And still others develop addictions to substances like caffeine or cough syrup. While all of these addictions can be successfully treated with therapy, teens who have developed a drug addiction might need more than therapy in order to truly recover. Drug addictions can cause significant and persistent changes in the chemistry of the brain, and often, teens need medications in order to help them reverse the damage. They might also need to tap into a lifetime of support, so those changes don’t result in a recurrence of addiction in the years to come. During the process of detoxification, most addicts are provided with some form of medication to help ease symptoms and relieve discomfort. It’s considered a hallmark of care during this stage of recovery. Teens recovering from a drug addiction may need medication management that extends far beyond the detoxification process. For example, drugs like heroin or prescription painkillers may cause persistent cravings that begin on a chemical level within the brain. Medications such as buprenorphine or methadone can quell those cravings, but they must be given for a period of weeks or even years. The National Institute on Drug Abuse studied the issue at length and reported that of teens who were given extended replacement therapy for a year or more, 60 percent could provide urine samples free of drugs. 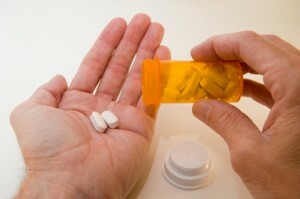 Of those who were only given medications for a brief time, only 25 percent could do the same. It’s clear that medications have a large role to play in long-term abstinence from drugs. Medication management can also help encourage teens to stay enrolled in their treatment programs. Teens who do not receive medication therapy may be driven to distraction by their cravings, and they may be desperate to fulfill those cravings and return to feeling normal. They may drop out of their treatment programs as a result. A study in the Journal of Addictive Disorders found that of those given medication replacement, 48 percent were still in treatment a year later. Those who stayed in treatment for longer periods of time tended to have a greater chance of recovery than people who dropped out early. Teens may begin these medication therapies during detoxification, and then slowly taper down and down until they’re taking no medications at all. For some teens, this process can move relatively quickly, especially if they have a short history of addiction. But other teens may find the tapering process difficult, and they may move very slowly through the taper, working closely with their doctors. As mentioned, addictions to drugs can be persistent, due to chemical changes in the brain caused by addiction. Often, this means that teens will need to work on their addictions and their recovery strategies throughout their lives, always staying alert and aware of their triggers and working hard to avoid them. Support groups such as Narcotics Anonymous provide a simple and inexpensive method teens can use to get the help they need, and they may be able to attend meetings throughout their lives on either a regular or an as-needed basis. Some addiction programs are built around the 12 steps common to Narcotics Anonymous, allowing teens to become familiar with the methodology while they’re working on their intensive therapies. When these teens complete their formal addiction programs, they can easily transition to programs held in the community. Other programs allow teens to join community meetings right off the bat. Around-the-clock support. Sponsors assigned to the teen promise to be always on call, ready to listen. A sense of affiliation. Addiction can be isolating. The opportunity to meet with others may help to break down those walls. A sense of structure. Teens have meetings to attend, steps to work through and contacts to maintain. A chance to talk. Support groups give teens an audience of those who understand the issue intimately. According to a study published in the journal Alcoholism: Clinical and Experimental Research, teens who believed they could not handle their addiction alone tended to participate in more meetings than teens who felt self-reliant. And, teens who participated more fully tended to have better long-term outcomes. In other words, this is an approach that can reach teens in most need of help, and provide real assistance they can use. Please contact us at Teen Rehab to find out more about drug addiction programs built specifically for teens. We are here to help.